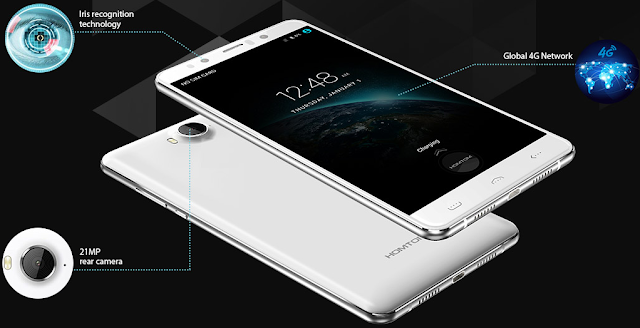 The all new HomTom HT10 4G is an android-powered phablet with some powerful hardware specifications and features which makes it quite unique device amongst its competitors. 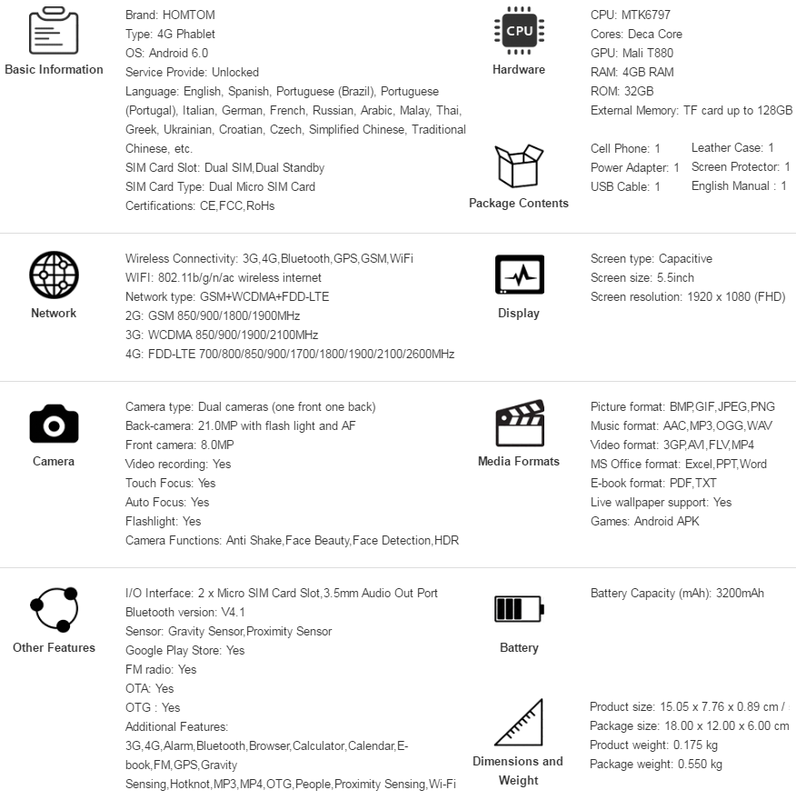 Today we are writing a detailed review of HomTom HT10 4G phablet with specs and features analysis. The phablet in question have got brand-new Mediatek MTK6797 Helio X20 deca core processor for faster speed while playing games or watching videos in high-definitions. It also includes Meiying Iris recognition technology with global 4G network chipset. It's a phablet with 4GB RAM for multitasking and 32GB ROM for data storage. The display screen size is quite impressive i.e. 5.5-inch FHD 2.5D 1920x1080 resolution, through which you can experience some bright and clear colors, whereas the battery is powered by large 3200mAh. The camera quality is also solid with Sony's 21 mega-pixel rear with flash and 8 mega-pixel front camera for high quality selfies, images and videos. The other main features include; dual micro SIM cards support, bluetooth 4.1, wake gesture, OTA, smart gestures, OTG, hotknot, GPS. 4G Networks: FDD-LTE 700/800/850/900/1700/1800/1900/2100/2600MHz, 3G Networks: WCDMA 850/900/1900/2100MHz and 2G Networks: GSM 850/900/1800/1900MHz. The phablet design is based on titanium magnesium alloy edges with CNC craft material. The mobile operating is system is powered by Android 6.0 Marshmallow with customized user-interface (UI) software. Where to Buy HomTom HT10 4G Online? HomTom HT10 4G phablet device has already been released worldwide, and it's currently available in white color with the official promotional and discounted price of $199.99 USD from GearBest online store. So what are you waiting for? Grab it now before the restoration of its regular price i.e. $229.99.